A tight match which saw Steven Donaldson bag his first half century for the club. With skipper Ian Green on holiday the 3rd XI was captained by Eddie Gibbs in his first match of the season. Graham Dodds Snr and Steven Donaldson also featured for the first time in 2017. Gibbs won the toss and opened to bat. Ramsay bowling well removed Simon Kirkman early but then Joe Burton and Steven Donaldson camped in for the long haul; highlight of which was Dodo with 61. 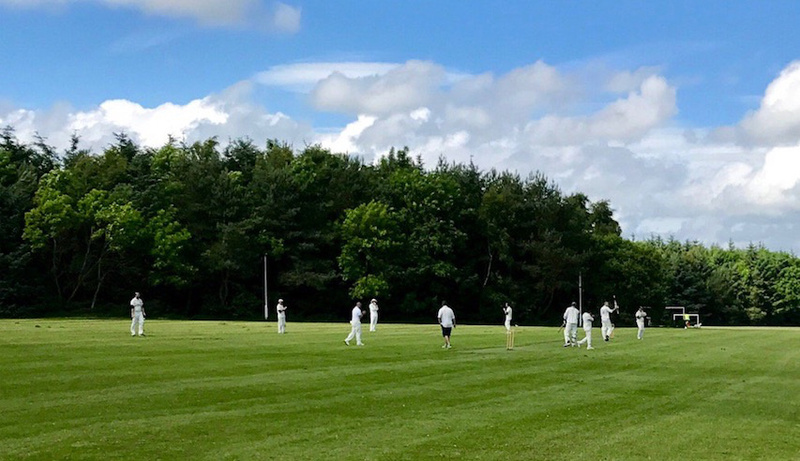 Qasim Ahmad, Greg Morris and Doddsy all played some lusty blows to get the score up to 141/5, which looked a tad below par at a sunny Gilvenbank Park versus high flying Morton. The 3rd XI fielding and spirit was good throughout, David Snook and Qasim bowled fine opening spells. Greg Morris, Doddsy and Eddie all chipped in with wickets but special mention to Jay Lewis who bowled a lovely tight spell near the death and picked up 2 wickets to put the game in Glens favour. Youngster Ashley Periera also fielded well throughout and credit to him for his chatty positive attitude. A win by 7 runs and plenty positives for skipper Green to take into the Fife derby at Dunnikier next week. Glenrothes CC 3Xl won the toss and decided to bat.